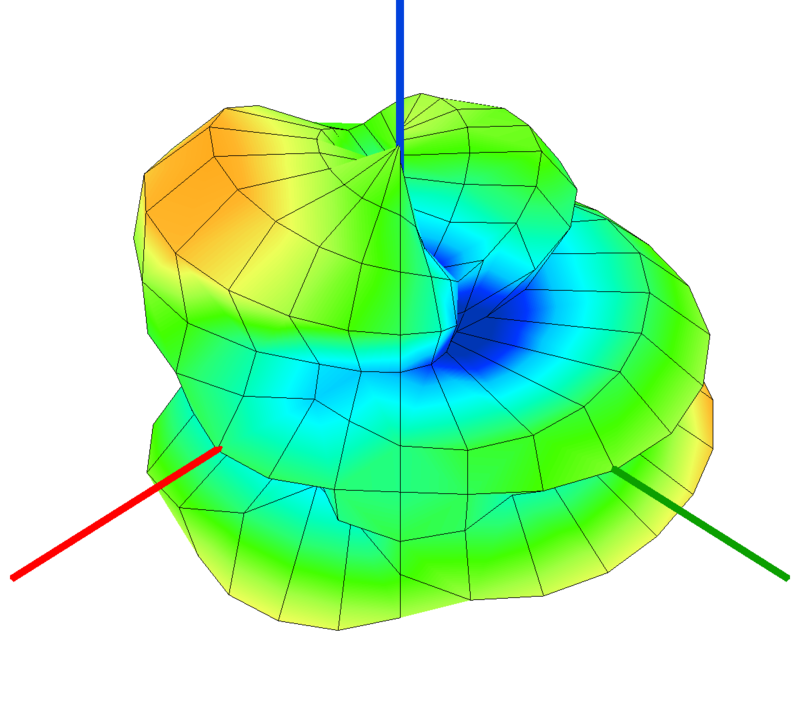 I'd like to know how to plot spherical data in a 3D plot (or to request this feature). The reason is that if I create a continuous interpolated function I'd be fabricating data (unless I can re-create a picture like the one above closely). Ideally a spherical list plot would be ideal, but it seems like the current list plot is only cartesian. 1) Make the color map scale set-able (so that multiple antenna plots have colors on the same scale, even if data ranges are different). 2) Make grid-lines visible, like on my picture above. 4) Make the xyz axes visible, like the pic. All these seem pretty easy, except maybe #2, if anyone knows how that could be done it would be greatly appreciated. Thanks so much everyone for working on this software. I look forward to this becoming a great tool for engineers and scientists. I do not think that you can get all of that directly with sage. A viable option would be to call mplot3d (plot_surface) from matplotlib, which is easily done in Sage. This way you can get point 1,2,4 even if the axis are displayed in a different way, and I think also point 3, but i am not sure about that. All the references are here. If you need some kind of interpolation, I suggest you employ scipy.interpolate module. You can get many different types of N dimensional interpolation. Thanks, I'll try that out. Is this incompatible with JMol? 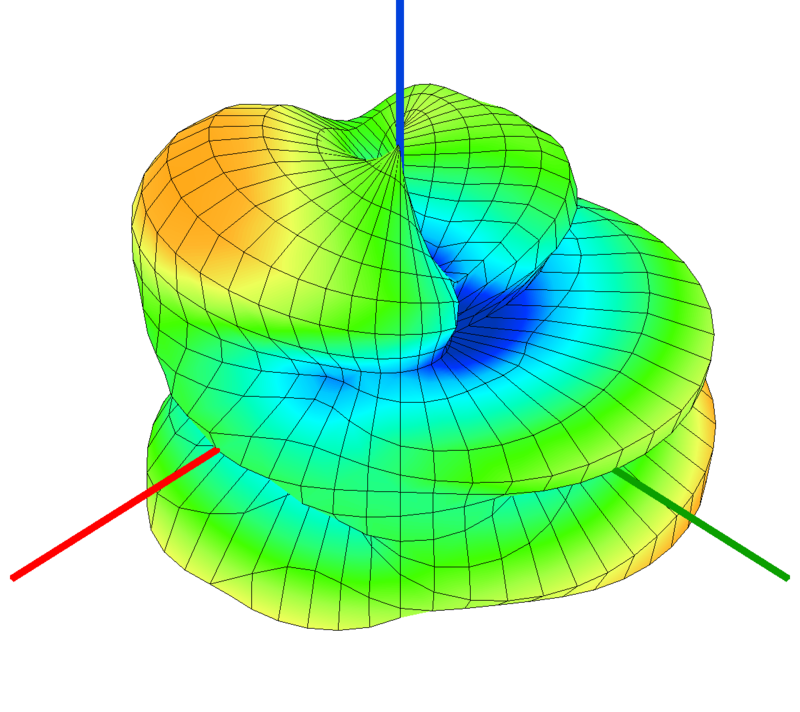 Having a rotatable 3D plot is also a requirement for me. You could do the spherical transformation yourself to do a spherical list plot. See http://sagenb.org/home/pub/3616/ for an example, using the radius, azimuth, inclination convention for spherical coordinates. Thanks. For transforming the data before using the function, an error occurs because I have multiple data points with the same xy coordinate (looking at my pictures above you can see both hemispheres are symmetrical). When I sort my list of xyz tuples into the upper and lower hemispheres, it doesn't seem to plot correctly. Another problem is that in the corners of the graph there is a flat plane until the data starts. Putting two of these together would have a square sticking out between the two hemispheres. Also, one of my initial problems was usage of the list plot 3d function. Where can I give constructive feedback on it? I don't think that you can interactively rotate with mplot3d. I'm not an expert anyway. I would say that mayavi2 experimental package fits your bill anyway. I use mayavi2 (outside of Sage) to produce antenna patterns of high quality and works beautifully. how to smooth data ? How to make a boxplot in Sage?